The former Minister of State for Defence, Senator Musiliu Obanikoro, was on Monday grilled for several hours by the Economic and Financial Crimes Commission and where he was confronted with evidence by detectives. Obanikoro, who had remained in the United States of America since mid-2015, went straight to the Abuja office of the EFCC immediately after his arrival in Nigeria on Monday from the US. An aide to the former minister told one of our correspondents on the telephone that Obanikoro, who reported to the commission by 1.20pm on Monday, had not been released by 8.59pm. A company, Sylvan McNamara, allegedly owned by Obanikoro’s sons, was said to have received N4.7bn from the Office of the National Security Adviser under Col. Sambo Dasuki (retd.) in June 2014. Sources at the anti-graft agency said after Obanikoro allegedly handed over N1.219bn to Governor Ayodele Fayose of Ekiti State and N1.3bn to Senator Iyiola Omisore, the then Osun State governorship candidate of the Peoples Democratic Party; he directed that about N759,384,300 should be transferred into the accounts of about six bureau de change operators. The two bureau de change operators that received the bulk of the funds were A.A.G.B.S. Oil and Gas and North Line Limited. While A.A.G.B.S. received N168m on June 16, 2014, North Line Limited received N835, 000 on July 14; N83,750,000 on June 17; N1,680,000 on September 3, 2014; about N2,325, 300 on September 9; N5,932, 500 on September 17 and N842,500 on July 30. An aide to Obanikoro, who accompanied the ex-minister to the EFCC, told the commission that he visited a bureau de change operator on the instruction of Obanikoro and collected over $1m on behalf of the ex-minister and handed it over to him (ex-minister). Obanikoro could not deny the statement when confronted with the evidence including receipts. Sources at the EFCC told The PUNCH that Obanikoro informed them that he was ill and was on medication. He pleaded with the commission to let him go home. He specifically told them that he had recently had a spinal cord surgery and was still recuperating. Obanikoro was said to have arrived at the commission with a bag containing drugs, toiletries, and other items. “He has been cooperating with us. He has made useful statements, but we still need him to shed more light on the main issues. “He came with a bag load of drugs and told us that he was treating himself. We will keep him here for now,” a source in the EFCC said. Detectives were said to have assured the ex-minister that the EFCC had a clinic and an ambulance in case of emergency. 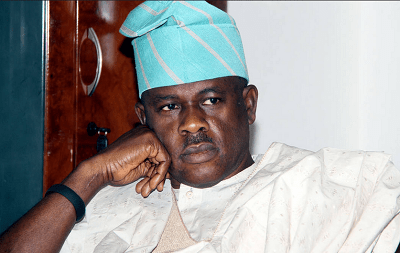 Obanikoro was said to have insisted that the money he received was not part of the $15bn arms scam but from the imprest account, a special account belonging to the ONSA. When contacted on the telephone, Obanikoro’s lawyer, Mr. James Onoja (SAN), told one of our correspondents that his client was cooperating with the EFCC. Onoja said his priority was to get Obanikoro out on bail. In a statement by his media aide, Jonathan Eze, Obanikoro commended the EFCC for its professionalism and pledged that he would continue to cooperate with the commission.